The Tomb Raider franchise has a long and storied history, beginning in 1996 with heroine Lara Croft's first appearance on the original PlayStation (and the less-successful Sega Saturn). Partially popularized for her Indiana Jones flavored archaeological adventures, and partially for her polygon pin-up girl status, Lara quickly became a gaming icon. She was also one of very few gaming icons to spawn a successful live action film - the 2001 star vehicle for Angelina Jolie. 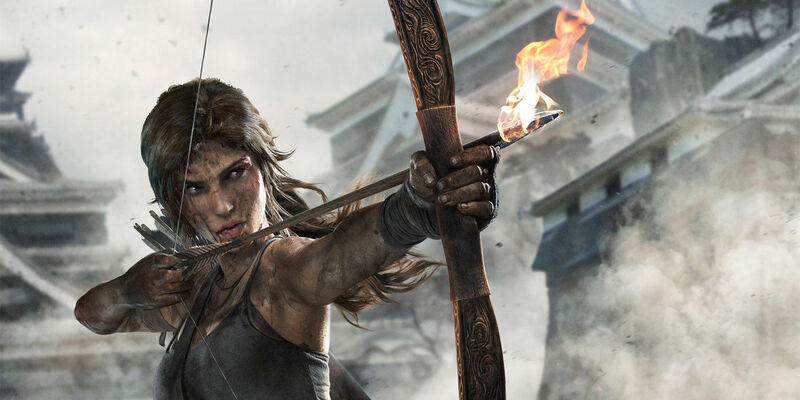 A reboot of the game series in 2013 by Crystal Dynamics re-framed the series on Lara's humanity, with an origin story focusing more on survival and learning one's own inner strength. It wasn't too long before Hollywood took the same cue, preparing a reboot of the film series in the similar vein, which is set to star Alicia Vikander (Ex Machina) in the title role and will be directed by Roar Uthaug (The Wave). The Wrap is now reporting that the Tomb Raider reboot has an official release date of March 16, 2018. Those who are keeping track will notice that this is the due date originally occupied by Warner Bros.' planned superhero blockbuster The Flash. It's assumed that currently that film's release date is being adjusted to align better with WB's plans for their DC universe. It bodes well for Lara that Warner Bros. considers her fit to fill a slot originally occupied by one of the studio's superhero tentpoles. While March was once considered too early in the year for major summer-blockbuster fare, it recently has seen the likes of Batman v Superman: Dawn of Justice and Zootopia doing good business during this timeframe. Tomb Raider is now expected to share the month with an untitled Fox/Marvel project, the sequel to Wreck-it-Ralph, and Steven Spielberg's Ready Player One. Where this all leaves The Flash hasn't yet been determined. Ezra Miller's iteration of the character was one of the highlights of Screen Rant's Justice League set visit. It's possible his film is being pushed up, or given more time to capitalize on what seemed to be working well. Either way, it's unlikely this is bad news for the scarlet speedster, just a speedbump on his road to the big time. Is it possible that this new Tomb Raider will break the record of bad-to-mediocre videogame adaptations and actually stand out as something special? With the Oscar-winning Alicia Vikander and the up-and-coming Roar Uthaug on board, it seems like we're off to a good start. Fingers are crossed that Warner Bros. makes the most of a well-loved character and promising creative team. Tomb Raider will arrive in theaters on March 16, 2018.